I mean, it was never really gone. 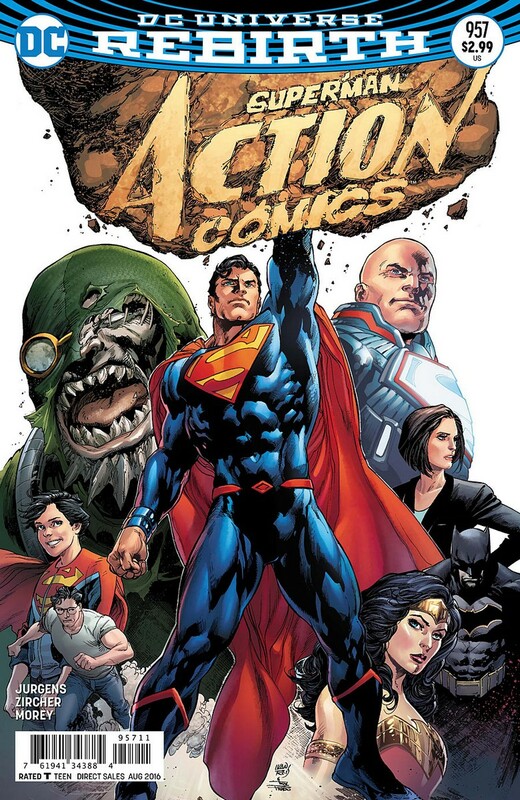 However, after the 2011 relaunch the title was one of the many in DC Comics that started from number #1 again. 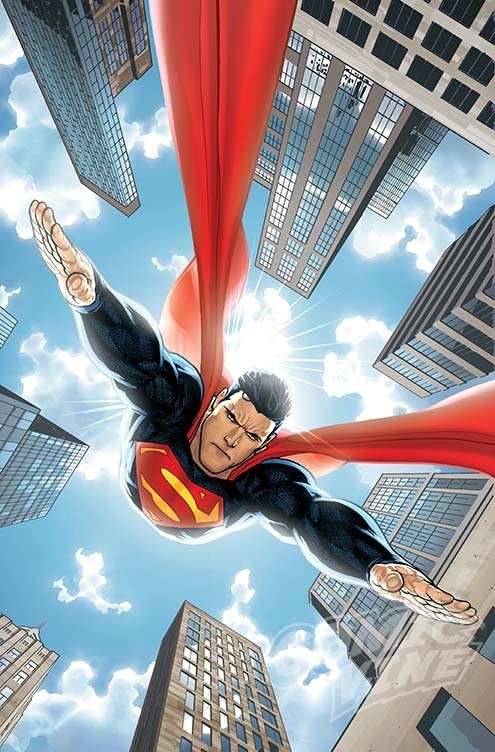 Rebirth, however, decided to respect the 52 issues released, but brought Action Comics to its original numbering. So, now instead of #53 we have #957. And it couldn't be better: Dan Jurgens, responsible for Lois & Clark, is the head of the title. Jurgens was one of the main forces behind the "comeback" of Superman in the 90's. When the sales for Superman comics started dropping, a creative team, whose leader was Jurgens, came up with the storyline that changed Comic Book industry: The Death and Return of Superman. Now, after the death of New 52 Superman, the Clark Kent/Superman we all know and love is back to DC Comics main timeline. If you remember the event Convergence, in which Brainiac brought several characters form different timelines to see how they would interact, you remember Clark and Lois, from the pre-Flashpoint timeline, got trapped in the current one. Lois, who was pregnant, delivered a baby they named Jonathan to honor Clark's adopted father. For the past 5 years the family adopted the name White and lived a calm life in a small town, but both Clark and Lois continued their activities in the dark. Him as a superhero and her as a writer X, who was investigating the Intergang. Those are all past events, though. Now the family, after being discovered by the Intergang, has moved to the semi-rural area close to Metropolis. Jon knows his father was a Superman before, although now he prefers not to interfere, while the boy himself is dealing with discoveries of his super powers. When Lex Luthor, now bearing the S shield, decides to take over as Metropolis' new protector, the "old" Superman decides to resume his activities since he doesn't believe any good can come from the man that was one of his worst enemies. While they battle against each other, for the right to be the "new" Superman, an old threat is back to Metropolis: Doomsday, the creature that once killed the Man of Steel. For what it seems, an unlike alliance between Lex and Superman will have to be done to stop the killing machine. And, weird enough, there's a new Clark Kent in the city. Yes, a man claiming to be Clark, who seems to have no relation to any of the Supermen, is in Metropolis and resuming his activities as reporter in the Daily Planet. One more mystery for the series. Although, I have to say, I think this new Clark Kent is either a shape-shifter or a robot and he's in Metropolis to help the new Superman to be back to his old life and secret identity. New 52's Superman secret identity was made public in the previous series, so, to have a "fake" Clark Kent interacting in the world right now would be a good idea to make people "forget" him and Superman were once the same person. They used this trick before, after the Return of Superman saga: To justify the return of Clark Kent, they had the shape-shifter Matrix becoming the reporter for a while. Remember that? Well, I do. As as for Lois Lane's return, check it HERE. 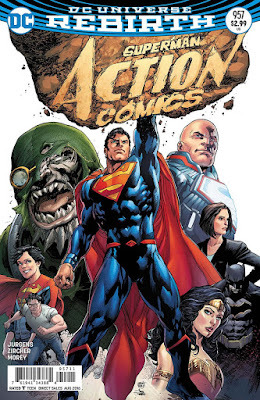 The art in this issue, provided by the talented Patrick Zircher, is incredible and leads me to believe Action Comics is going to be as great as it was before.